We were too lazy to plan where next to go. Giving in to instant and impromptu day trip plans, we woke up early one morning and decided we’d have a cochinillo lunch in Meson de Candido in Segovia. Hopped on the metro, off at Chamartin Station, straight into the Venta de Billetes to buy our ida y vuelta tickets for Segovia. 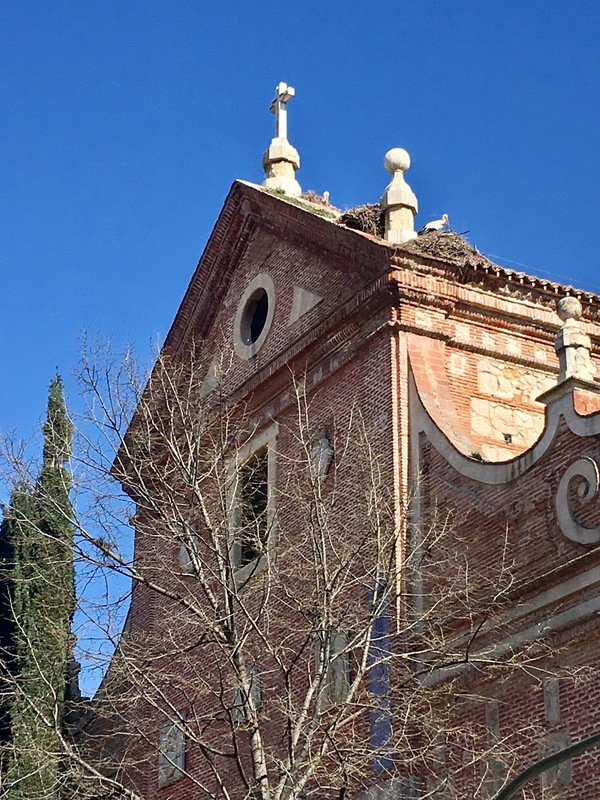 We planned on staying at least 8 hours to enjoy the old town – the aquaduct, the Alcazar, Catedral, Museos, the cordero or cochinillo and a few, choice pastelerias. All in freezing -2C weather. But it snowed the night before in Segovia and the station is blanketed in snow. 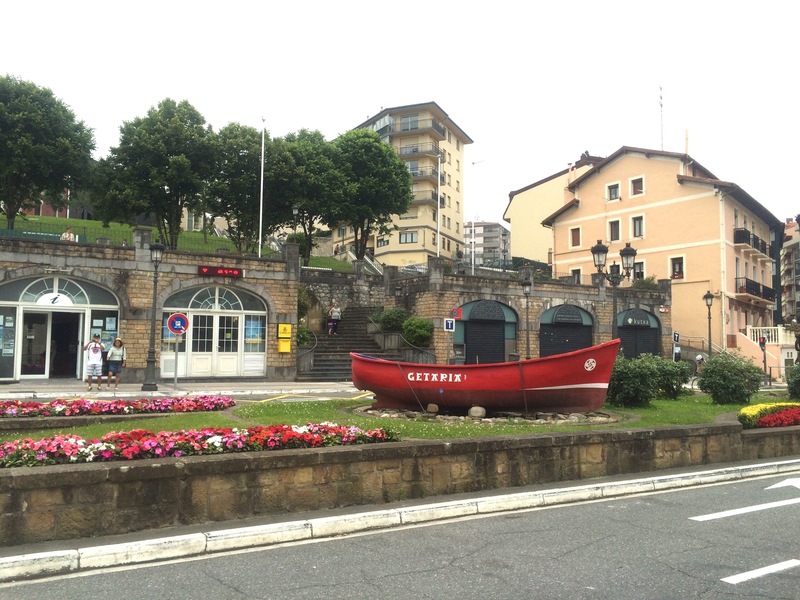 The man from Cercanias said the train will take us there but there’s no way we can reach the town proper from the isolated estacion because no buses nor taxis are available to ferry us out of the train station. Boo! And so we hurried back — just as it also started to snow in Chamartin Station — to the ticket office to return our day tickets and claim a refund. Another time, perhaps. But we’re all bundled up for a day out and have no wish to be home early! 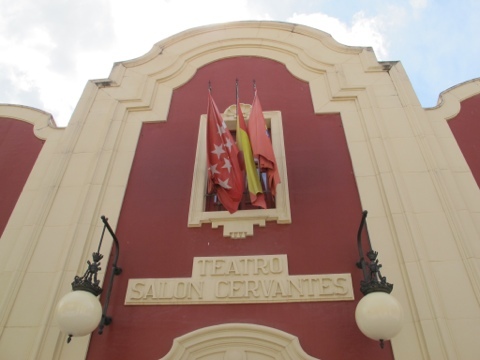 Entonces, we returned to the ticket counter and bought tickets for the next train headed for….. Alcala de Henares. The hometown of Miguel de Cervantes, of Don Quixote fame. It is also home to a university founded by Cisneros. Cardinal, Regent and close adviser to Ferdinand of Aragon and Isabela of Castile. 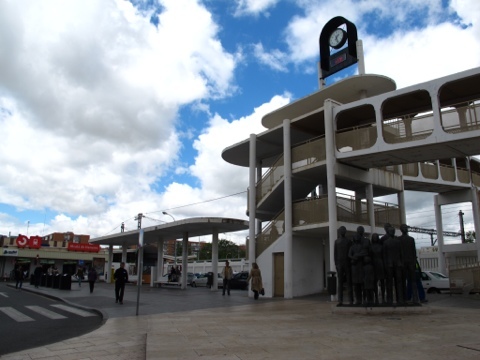 We took the Cercanias slow train and reached Alcala in under an hour. Still freezing at 3C, we only managed to visit a church, Cervantes’ Home, Plaza Cervantes with the ayuntamiento, the Universidad and the quaint, cobblestoned streets of Alcala de Henares. Oh yes, a little bit of “stork-watching” too. Told my sobrina and nieta that these storks seem to have “regal addresses” as they’ve taken up residences in many of the tall spires around this UNESCO Heritage Site. Man of La Mancha. Don Quixote. And his squire Sancho Panza. We’ve met twice before and we meet a third time more. 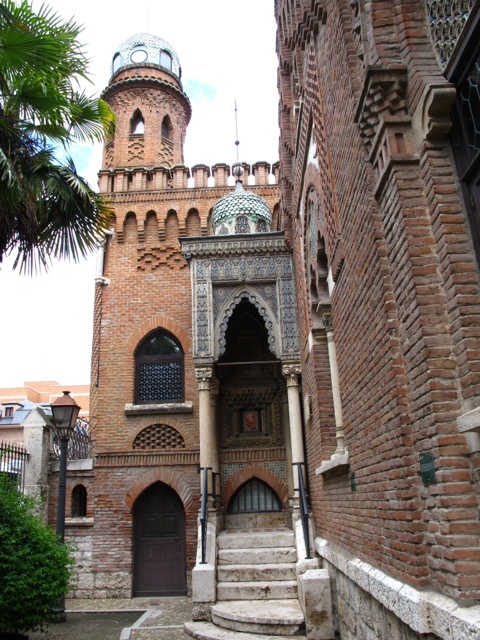 Their life-size bronze statues guard Cervantes’ home, now a Museo. 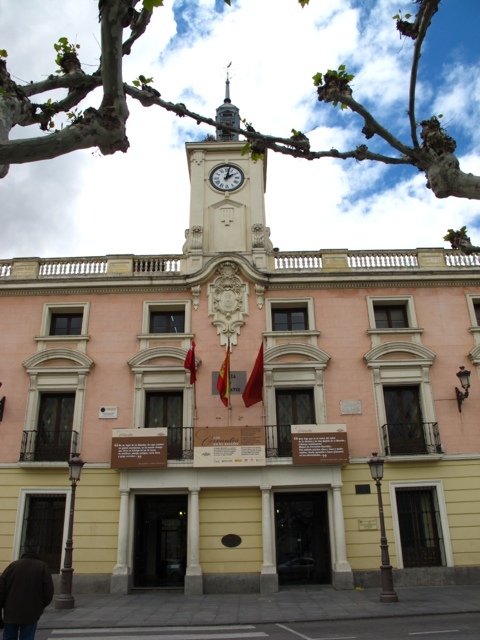 Casa Natal de Cervantes is right along the town’s cobblestoned, columns-lined Calle Mayor. Just off the Plaza Cervantes which locals have spruced up for the Christmas Season. The first time I visited Alcala, I was all by myself. I knew I’d be back with family and friends. I was particularly amused by the “stork community” and earlier blogged about it. 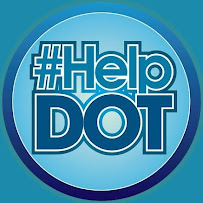 Just click on this link. But certainly, this town’s claim to fame lies in its old University and this celebrated man of literature. As for me, I’m happy enough to walk its streets, checking out those old columns, antique doors, gates, and (don’t laugh now) water spouts. Btw, we were lucky to have changed our train tickets from Segovia to Alcala. The cochinillo place was blanketed in inches of snow, trapping many along the roads. Looks winter-nice in photos, but glad to be spared the ordeal of having to wait to be rescued. God is good! I have just read an article about how one shouldn’t miss out on this underrated place just a short 2 hour drive out of the more popular destination of Sevilla in Andalusia. I wholeheartedly agree. There are many, many destinations around Spain worth a detour beyond the triumvirate of Madrid, Barcelona and Sevilla. 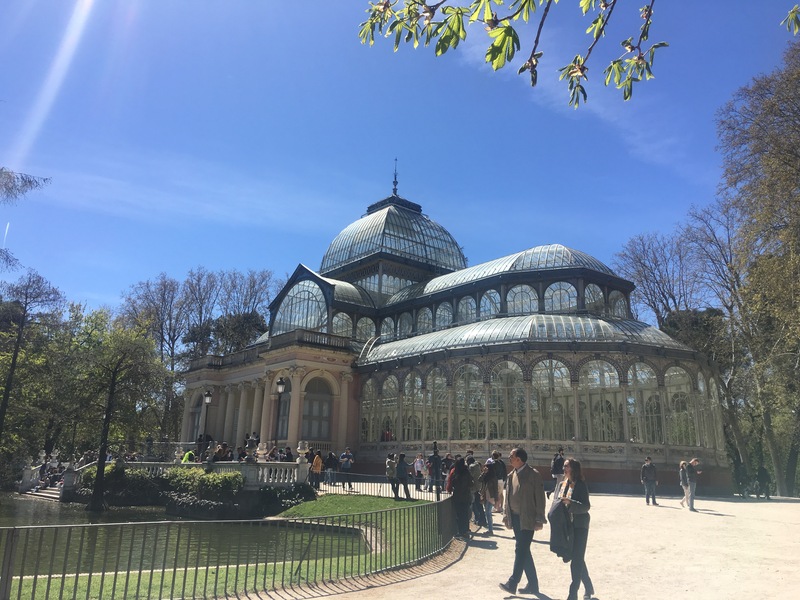 This blog hopes to help those visiting Spain to include a few must-see’s into their Spanish Itinerary. I’m nearing the end of my holiday. Just one more week. Had my sister and grandnephew with me with some friends visiting. I’ve posted blogs on my other sites to chronicle what kept us busy. Here goes. Madrid is home. Have shown friends around and some a 2nd time. Always a pleasure. Each time, I can’t help pointing out some of our local heroes’ favorite haunts. Patriotic and curious? Maybe. Friends know me well enough as a big fan of Rizal, Luna and …. Hemingway. Don’t ask me why. I just find something seriously intriguing about each of them. 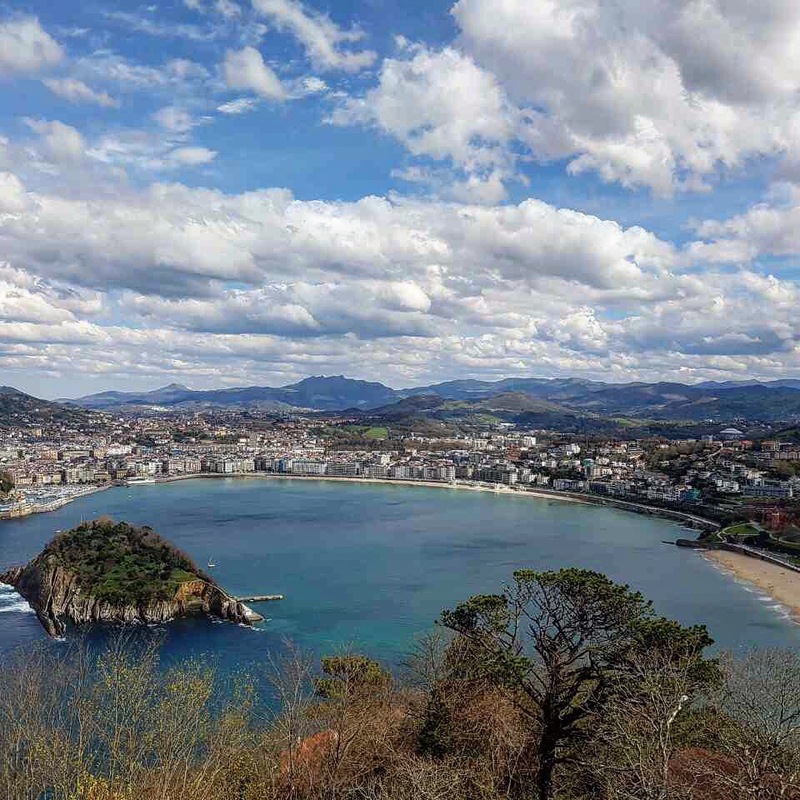 You can’t leave San Sebastián without swearing you’d be back again. The coast, the mountains, the shore, the food!!! 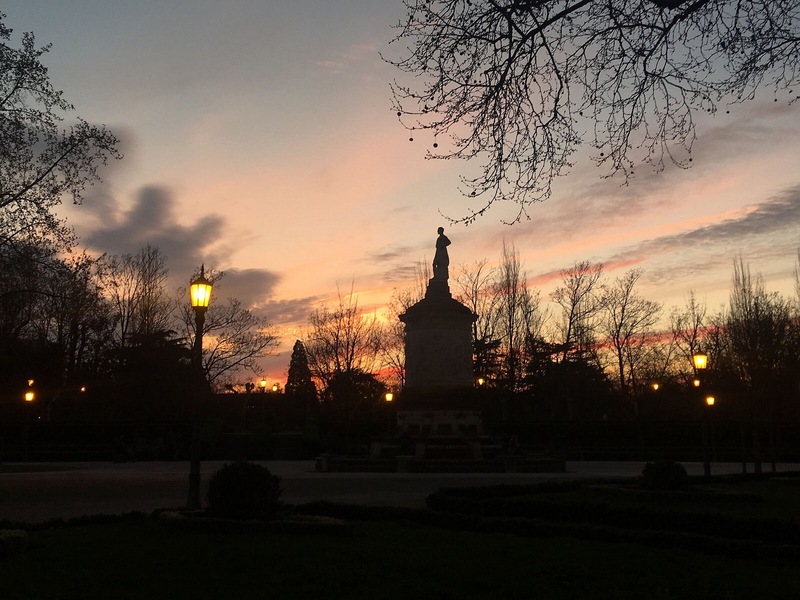 When touring Madrid, there’s that nagging idea of hopping on a train to be away from the city center yet still find the art, culture and character of Iberia. Here’s one just under an hour by local train. Only €6.80 yda y vuelta. It was the day before my homeward journey. Weather forecast is cloudy, rainy day. So I made up my mind to stay home and start packing. Alas, the sun’s out by noontime! Packing can wait. And my itchy feet won’t. While in line to enter one of the smaller museums in Madrid, I met this French mom and daughter tandem who told me about their trip to this university town. 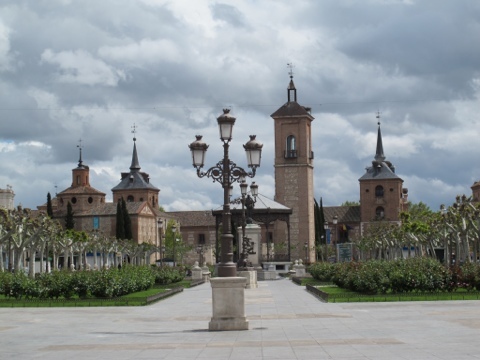 Alcala de Henares, just a half hour €3.20 trip by Cercanias train from Madrid’s Atocha Renfe Station. I love university towns! It also happens to be the birthplace of Miguel Cervantes of the Don Quixote fame. That’s it. I must go. Glad I had a hearty breakfast. Lunch can wait. After all, this is Spain! When I got to Atocha Renfe Station, the train to Alcala is scheduled to leave in 5 minutes. I was fidgety as the lady before me couldn’t make up her mind. I made it with a minute to go. This is getting to be a habit! 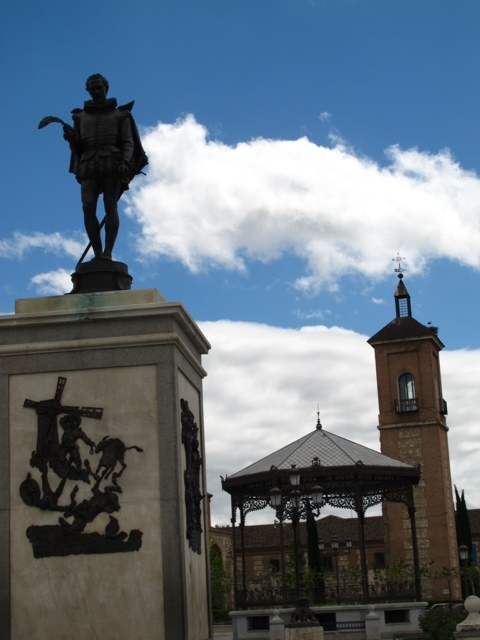 After a few stops, we reached the university town where Miguel Cervantes was born. 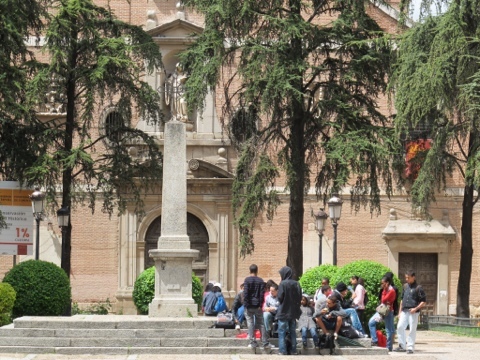 Just a 10 minute walk from the train station to Plaza Cervantes. It’s a lovely plaza. In the middle is a bronze statue of the town’s favorite son and a kiosk with intricate ironworks. Around the plaza are old brick buildings and churches with spires now serving as havens for resident storks. I sat on a bench and took pleasure just watching the storks going about their business in their “residential nests” and flitting from one rooftop or spire to the next. 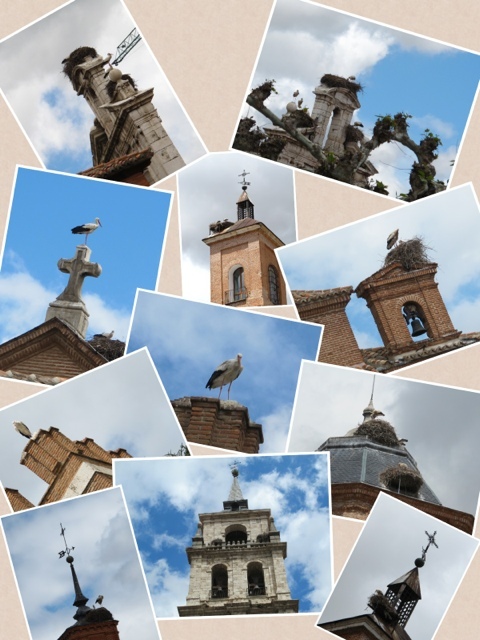 It’s a community of storks here in Alcala de Henares! 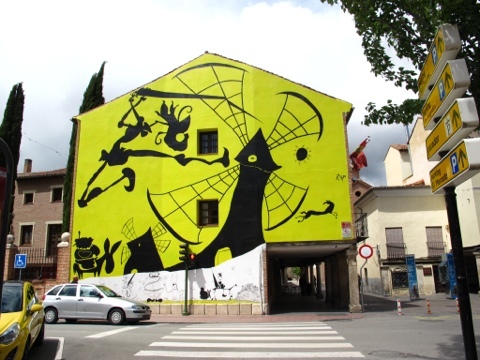 From the Plaza, I walked along Calle Mayor towards Casa Cervantes where the famous Don Quixote author lived. It’s a beautiful house, well-preserved with many interesting memorabilia. And it’s free! 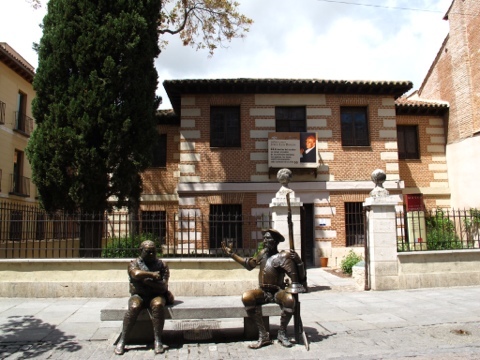 The bronze statues of Don Quixote and Sancho Panza seated on a bench right in front of the house was a hit with tourists. All around, it’s as if Cervantes still lives among the young population of university students. Young men and women manning tourist bureaus, souvenir shops, coffee bars, theaters. And the storks! Just look up and you’re bound to find their nests on rooftops and church spires. 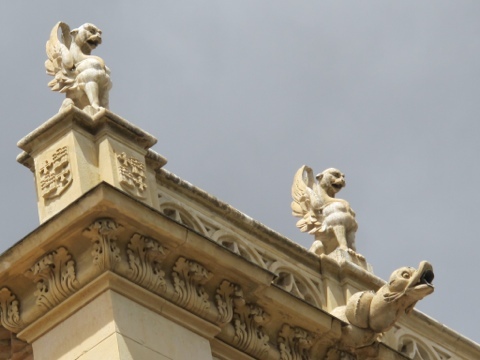 The Archbishop’s Palace is a favorite among these resident storks and it’s a challenge to find them in between the gargoyles! It was an afternoon well-spent in Alcala de Henares. And guess what….. I took the train ticket- dispensing machine at the station with a minute to go!